The governments of Nigeria and Morocco have agreed on a cooperation plan to press on with a proposed pipeline transporting gas to the North African kingdom along the Atlantic coast. 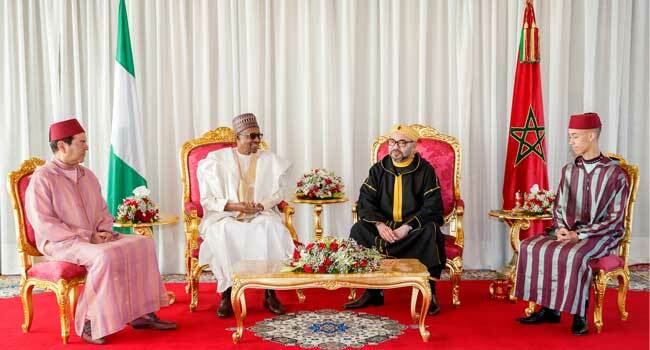 President Muhammadu Buhari and King Mohammed VI of Morrocco and on Sunday supervised the signing of the accord in Rabat, Morroco capital city. Morocco’s MAP news agency reported that this details the way forward for the mega-project first agreed in 2016. The proposed pipeline is to measure about 5,660 kilometres and is expected to be an extension of an already existing pipeline that has been transporting gas to Benin, Togo and Ghana since 2010. “For economic, political, legal and security reasons, the choice was made for a combined onshore/offshore route. “The proposed pipeline, to be built in several phases, “will measure some 5,660 kilometres (3,500 miles)” and “respond to the growing needs of the transit countries and Europe over the next 25 years”, a statement said. The next step will be to sound out countries around the region and customers in Europe and to talk to international lenders about funding the project, the release said. Plans for a pipeline to take Nigeria’s vast gas resources to North Africa have long been mooted. Algeria held talks with Nigeria as far back as 2002 for a similar pipeline crossing the Sahel region, but ultimately the Algerian government was unable to finance the project. Major oil exporter Nigeria has huge untapped gas resources — the largest proven reserves in Africa and the seventh largest globally. Morocco has over the past few years been on a diplomatic offensive to bolster its influence around Africa, rejoining the African Union in 2017 and warming up ties with English-speaking countries. 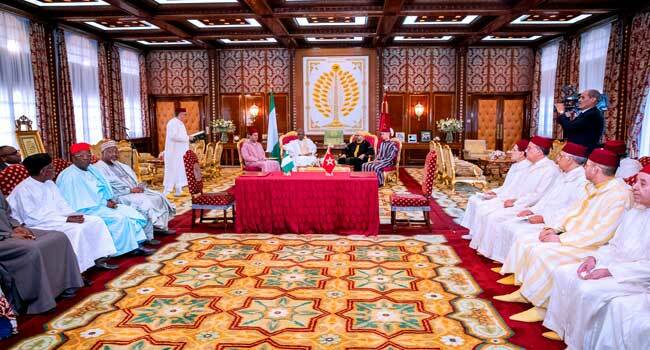 President Buhari is currently on a two-day working visit to the Kingdom of Morocco.